It is always wise for an injured worker to seek representation when pursuing a workers’ compensation claim. Workers’ compensation disability claims can extend for months and up to years. These claims usually involve an adversarial relationship between the parties involved. The Workers’ Compensation Attorneys at Powers Law Group will continue to work with you after the insurance company accepts your claim. If a doctor authorizes you to return to light duty work, your employer must comply with applicable Georgia state laws and insurance company policies. Georgia law requires that your employer must carry workers’ compensation insurance to provide you with benefits following a work related injury. If you were hurt on the job, report your injury to your employer within 30 days of your accident. Below are a few of the different types of workers’ compensation cases that Powers Law Group may be able to help you with. Below is just a sample of some of the injuries that Macon GA Personal Injury Lawyers have successfully represented for injured clients in Workers’ Compensation Claims that have resulted in settlements from tens of thousands to millions of dollars. Are You Seeking a Workers’ Compensation Attorney? I had to have back surgery. When I was looking for a lawyer, I was looking for someone that was trustworthy, honest, and that would take care of me and get everything, all my bills and just do everything like A1. It took 4 years to end this case, but Jeff and Adam did not stop until I was compensated. Need help? Call the Powers Law Group. Jeff and Adam will be there for you! Workers Comp Lawyer Macon Testimonial by Gloria T.
I will always used Mr.Powers as my attorney because he got me the maximum amount from my case,treated me right, and with respect. Workers Comp and Personal Injury Lawyer Testimonial by Brenda L.
I was hurt on the job and all I wanted was to get the care I needed but because the insurance company wouldn't return my phone calls, I couldn't even get in to see the doctor. Workers Comp Testimonial by Carla P.
Hi, my name is Pam. I was injured on the job. when a file cabinet turned over on me and I tried to catch it. Macon Workers Comp Trial Lawyer Testimonial by Pam. N.
I had a lot of problems with the insurance company not approving paying such as surgery. Jeff and Adam were right on it and settled the problems in the issues very promptly. Macon Trial Lawyer Workers Compensation Testimonial by Daniel C.
I would recommend to anyone to give Powers a call, you will never regret it! Not only did I receive the best medical care possible they won my case!! Thank you gentlemen! Salute!! 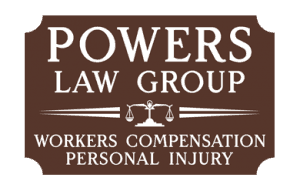 Workers Comp Testimonial by Roger P.
Powers Law Group are A1 in their field !!! I’ll tell other people to call you and you did a real good job. I aint just saying this, cause I’m honest yall know that. Yall did a real good job. I’ll tell other people to call you and you did a real good job. My experience here was above and beyond. Way more than what I anticipated and thought. Jeff you are awesome. My experience here was above and beyond. Way more than what I anticipated and thought. I looked for you to take over my case and guide it through the whole process and you have done great the whole time and I couldn’t be more thankful. You have done great the whole time and I couldn’t be more thankful. I love Jeff and I love the staff, Amy has been wonderful and I can’t say enough about anyone that has any issues per any cases I highly recommend seeing Jeff and the crew. Workers Comp Testimonial by Maureen O. Conversation with Candace M. JNP (Atty. Powers) - How was your experience with our firm this time? CM - It was pretty smooth going with you Jeff, I have dealt with you before and I knew what to expect this time. Workers Comp Testimonial by Candace M.
It was pretty smooth going with you Jeff, I have dealt with you before and I knew what to expect this time. I injured my back and after 8 months of getting the run around, Powers law group helped me get the medical help I needed. I had surgery and was back to work faster than expected. They are very professional and courteous, staff included was more concerned with my health than anything. I also received a settlement that will definitely help with a difficult year. Highly recommend! I got hurt back in December, 2014. I was having a hard time dealing with workers comp and I moved about a year and half after my injury. Once I was established in Macon, I found Powers Law Group that specializes in several areas. Workers compensation, was one of their specialties. I gave them a call and within a few days had my consultation, I was able to get more done in 6 months with them than had been done the whole time I was dealing with workers comp on my own. After a lot of doctor visits and testing I was finally able to find out what was wrong. I received my settlement check today and was happy with the out come. If you or someone you know needs a good lawyer they are who you need to see!!! Thank you Powers Law Group for everything! Powers law firm handled my workers compemsation claim recently. All of the staff in the office and both of the attorneys were 100% professional and helpful throughout the process. Macon Workers Compensation Lawyer Testimonial by P.L. This is an excellent law firm. They explain everything along the way. I would strongly recommend them to help you in your case. Macon Workers Compensation Lawyer Testimonial by S.M. I’m so glad that Mr Christy referred me to y’all and that y’all took my case. You know I’ll always recommend y’all to anyone who needs a Attorney. 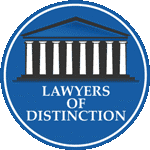 Macon Workers Compensation Lawyer Testimonial by Rhonda L.
I appreciate everything you guys did for me and I would definitely recommend somebody else that's got an issue like mine and hopefully not worse. Workers Comp / Personal Injury Testimonial by Doye B.
I would like to Thank you and the Powers Law Group for taking on my case, Thank you. – Wanda M.